Want To Know How Long Your PC Has Been Running? It's always good to know some basic information about your computer. right? seems somehow funny but a seriouse matter too. How long has your Computer Been Running? 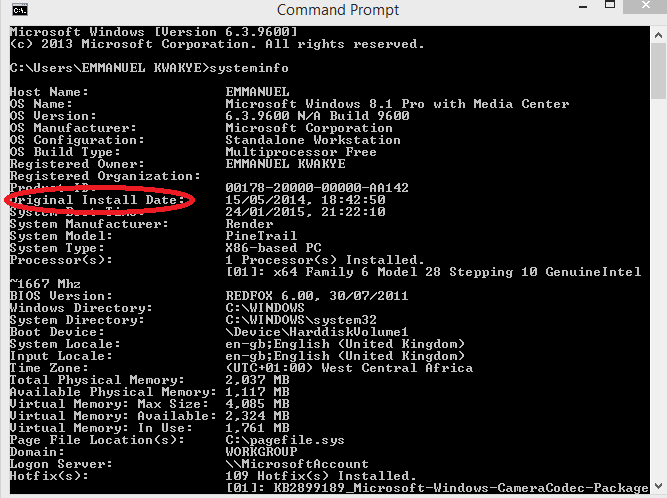 for XP and Windows 7 users go to Start | Run and type cmd to open a command prompt. Scroll down the list of information to the line that says System Up Time/ original installed date. depending on the type of OS you are running. This will tell you in days, hours, minutes and seconds how long the system has been running.